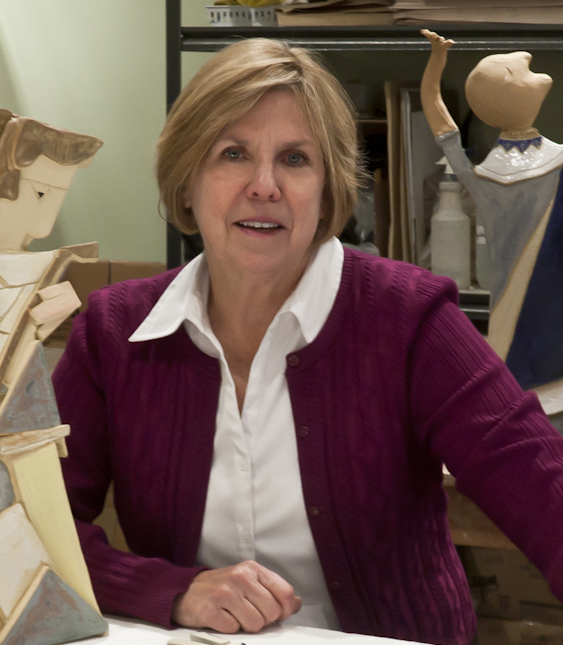 Developing site specific artworks for public spaces, schools, hospitals, private residences and parks has become an important part of Sue Springer’s major work. Interior and exterior murals, walls and benches are just a few of the ways to express an organization’s mission or style. Combining ceramic elements with cut and broken mosaic pieces, these sculptural mosaics are assembled with colorful glazed surfaces and textured pieces. The figure, expressing movement and color, combines the traditional method of mosaic using broken ceramic and glass with pieces expressly created. The human figure, particularly the curve of the shoulder, the angle of the hip or the turn of the head creates a story of interaction and line. “The Dancers” celebrate the figure with colorful clothing, white gloved hands and flowing hair, in a whimsical three dimensional style. The seated figures might be resting, carrying a heavy burden and refer to the harvest, carrying fruit and vegetables in from the fields. The fish sculpture might fool the eye, appearing in a creek as if swimming upstream, the forces of nature pulling at the ceramic forms. The tiles create an opportunity to create beauty and art in a functional, durable setting. 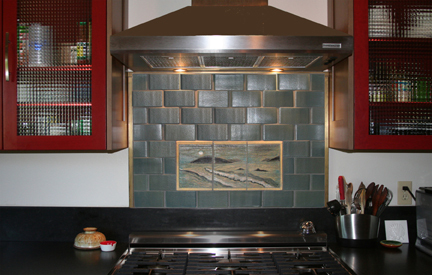 Sue Springer’s tilework, created in the Illahe studio, is high fired and custom designed. Handpainted murals, sculptural mosaics and custom glaze formulation are specialties. Contact Sue Springer for something extraordinary to enhance your home or business.